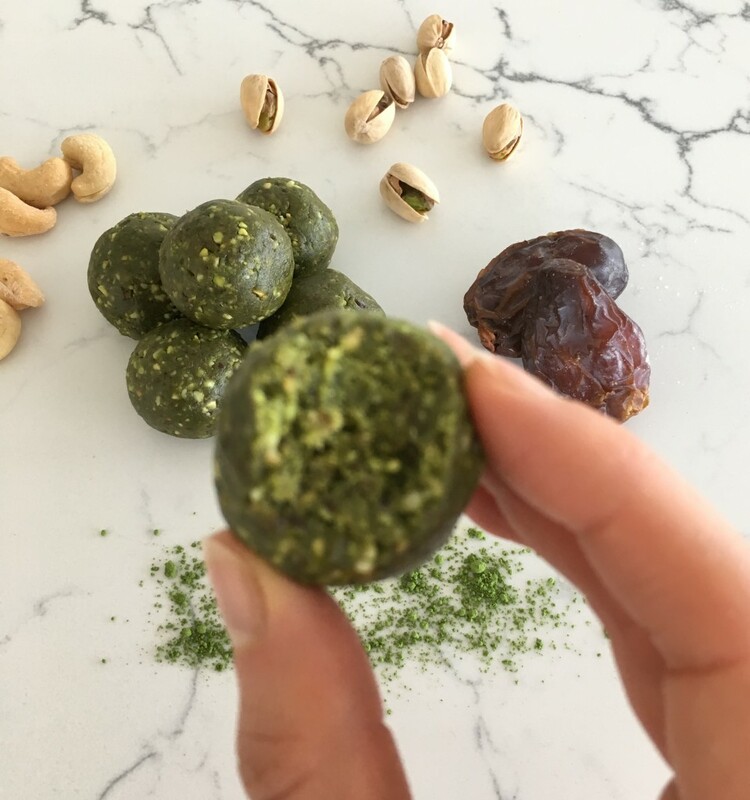 I have been drinking matcha tea and tea lattes for the past few years now and it’s about time I tried to experiment with this delicate green powder in food! Since going on maternity leave, I’ve discovered the importance of stocking ready-to-eat snacks that you can eat with one hand. 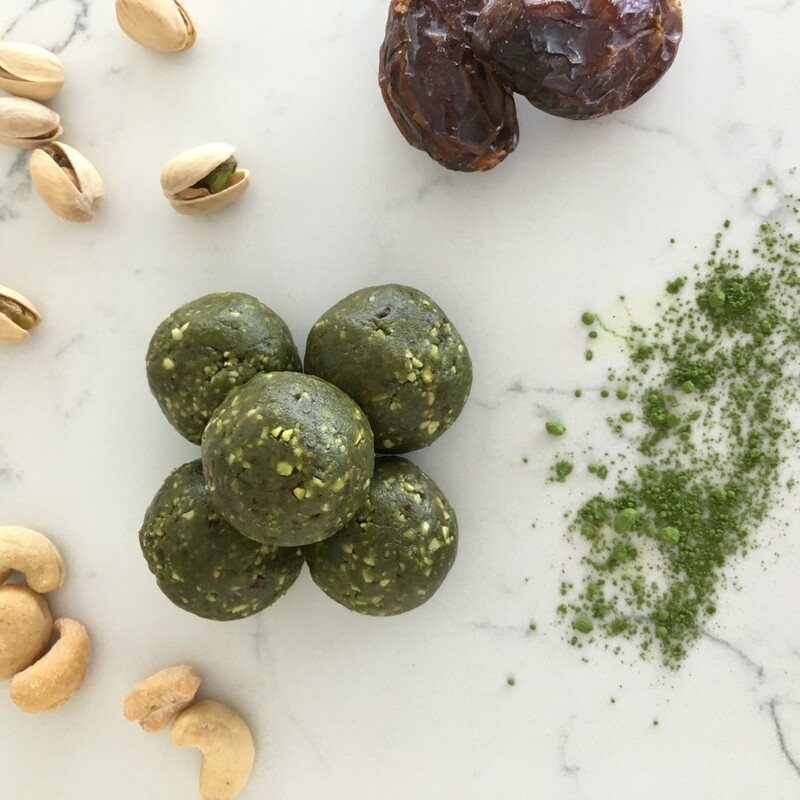 Energy balls are the perfect snack to satisfy your sweet craving while providing some healthy fats, protein and antioxidants. 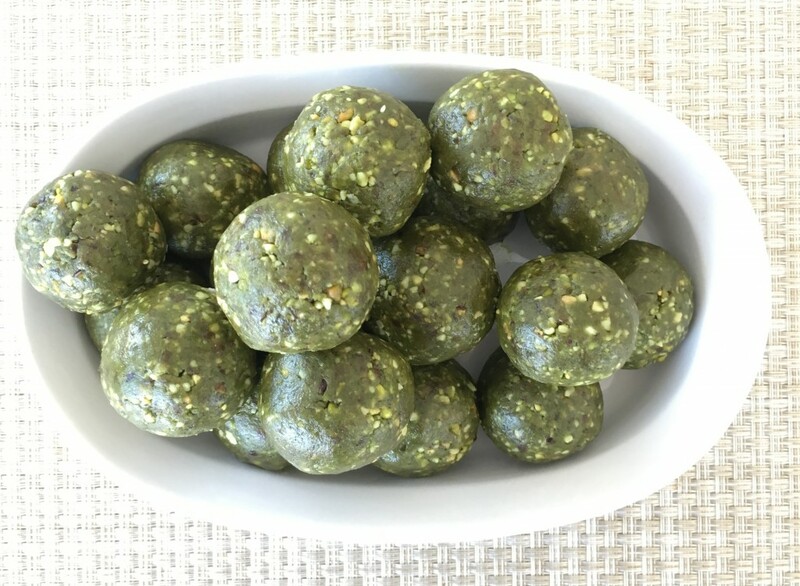 These little green balls are vegan, gluten free and full of healthy fats and protein. 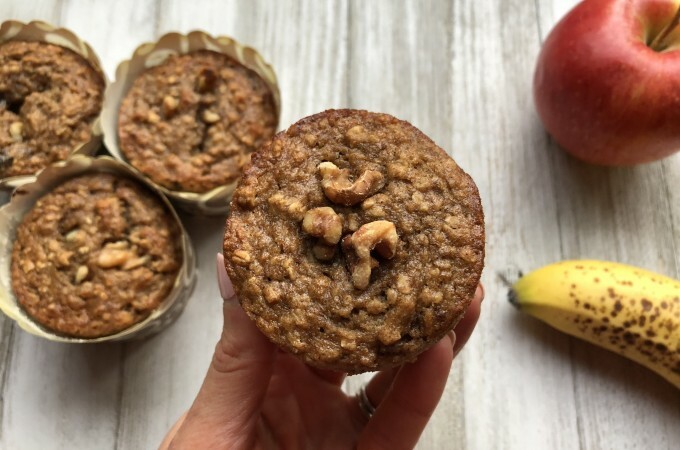 Delicious, nutritious and convenient for an on-the-go snack. Add the cashews, pistachios and dates into a food processor. Blend until you see a crumbly texture. 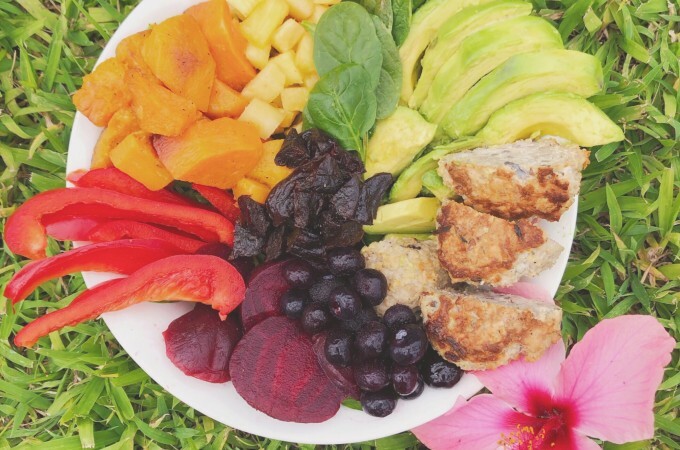 Add the almond butter, protein powder and matcha powder and blend again. Add the maple syrup. If the mixture isn't coming together consider adding 1-2 Tbsp of water. 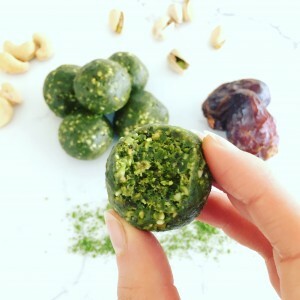 Form the mixture into small balls and store in the fridge or freezer. *I used Lean Fit vanilla protein powder from Costco. If you are not dairy-free or vegan, feel free to substitute vanilla whey protein powder. **Optional - omit the protein powder altogether and consider adding hemp hearts for extra protein. 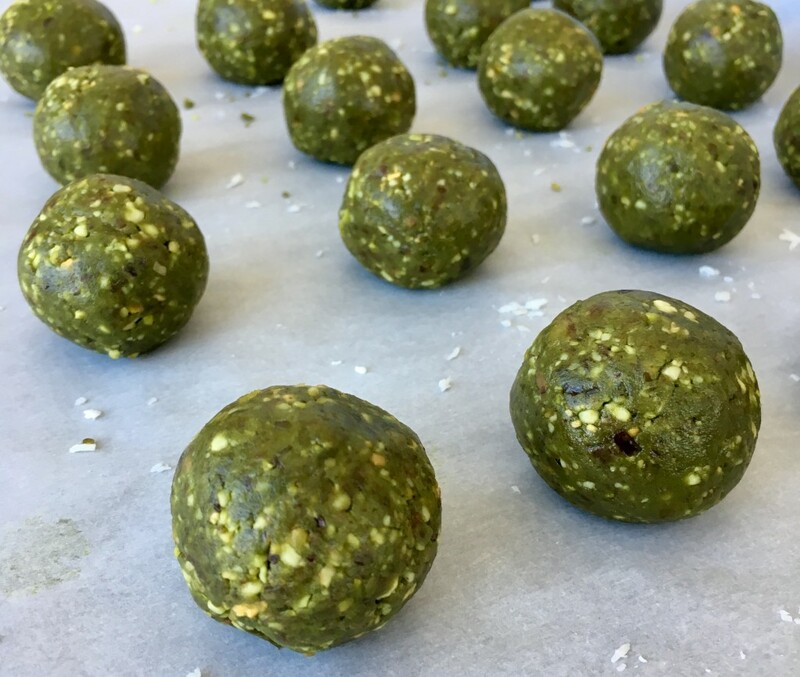 As long as you have the ingredients on hand, these matcha balls can be made and rolled within 10-15 minutes. I recommend storing them in the fridge or freezer to preserve them. wondering what I could use instead of the nuts? my daughter is allergic to nuts. I will substitute the almond butter for sunbutter, but what about the cashews and pistachios?? Any ideas?